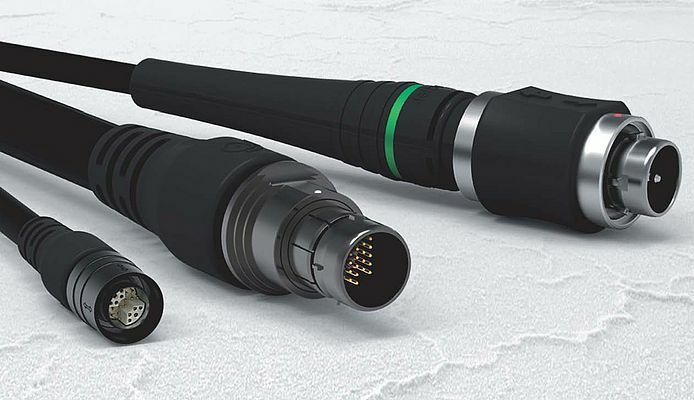 Fischer Connectors is a leading company in the development of high performance push-pull connector and cable solutions. Known for their reliability and precision, our products are used in field requiring faultless quality. Fischer Connectors has been designing, manufacturing and distributing high performance connectors and cable assembly solutions for 60 years. The Connect2 connectors offer reliability, precision and resistance to demanding and harsh environments. Fischer Connectors is a leading company in the design, manufacture and distribution of high-performance connectors, are used in fields requiring faultless quality, such as medical equipment, industrial instrumentation, measuring and testing devices. Fischer Connectors is a leading company in the design, manufacture and distribution of high performance push-pull circular connectors and cable assemblies. Rugged, sealed, compact, the products are suitable for application in harsh environments.